The current versions are Office 2013 for Windows, released on October 11, 2012. 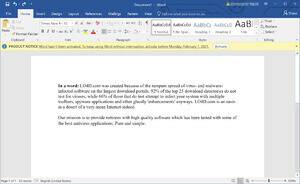 A 60-day trial version of Office 2013 Professional Plus was released for download. For security reasons, you should also check out the Microsoft Office download at LO4D.com which includes virus and malware tests. Additional screenshots of this application download may be available, too.